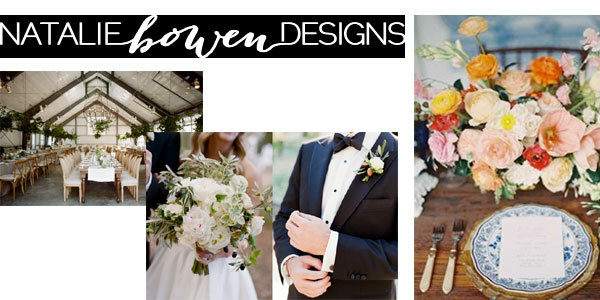 Natalie Bowen Designs is a floral and event design company based in San Francisco. Best San Francisco florist and floral services by Natalie Bowen Designs. Natalie Bowen Designs is a boutique floral and event design studio offers the finest customized floral arrangements for weddings and social events. ‎1110 Harrison Street San Francisco, CA 94103. NB. replace sign for email : [at] = @ / [dot] = .